Congrats to Paula. I’m sure she has a lot of work ahead of her cleaning up the Tornberg mess. But in a surprising election, Paula had to go up against Tornberg in the 2nd and final round. No one reached 51% in the first round of voting, so the top two were picked. Paula got 72% of the vote vs. Tornberg’s 28%. While I am all for the staff Unionizing, why wasn’t this done years ago instead of a couple of days before a LIKELY new chair will be elected. It smells a bit. 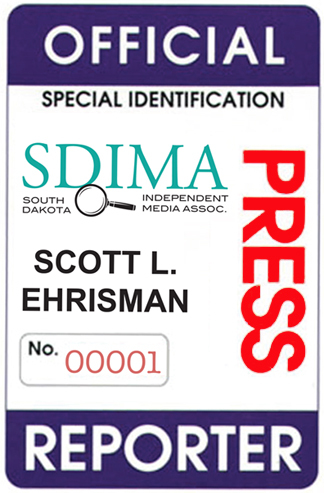 As a person who has worked in printing for 25 years, we have often run into roadblocks in getting printing from the SDDP because they require a union printer. I only know of ONE union printer in Sioux Falls and they cannot handle large statewide mailings, that I know. That is why a lot of SDDP LARGE mailings are printed out of state at bigger union facilities. I find it to be a double standard requiring union printers when the staff isn’t even unionized. Like I said, this is a good step, but it also looks like it will tie the hands of the new chair. Make no mistake, the new chair will want to make staff changes. I think it is pretty obvious that when there is a regime change, you change a few soldiers under that regime. I guess we will see what kind of roadblocks this presents for the new chair. I told one candidate already that if they win they need to ‘Clean House’. You can’t keep remnants of a failing party around when you are trying to rebuild it. Fixing the SDDP will take more than just a new chair, it will take a NEW staff willing to try NEW ideas, whether they are union or not. 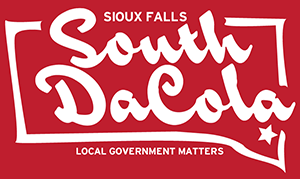 In South Dakota, the South Dakota Democratic Party (SDDP) will choose its Chairman for the next four years next week in Oacoma. There are five Democratic Candidates and one candidate who claims to be a Democrat when it is convenient for her. (Paula Hawks). Despite a lot of good intentions and whatever the results, the SDDP will probably remain what it is today, a Top Down organization whose leaders will continue to wonder why its members don’t participate and do their bidding. 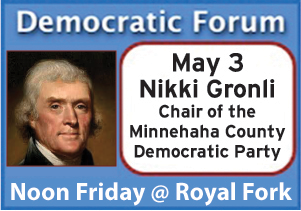 Rather than live up to its name and reform itself and become a truly (small “d”) democratic organization, the SDDP will most likely remain a rural dominated Party in which “one county” rather than “one person” equals one vote and in which a Harding County with its 173 Democratic voters will have as much say in Party affairs as a Minnehaha, Pennington, Beadle or a Brown County with their tens of thousands of Democratic voters. It was pointed out the other day that South Dakota has more cows per capita than any other state in the Nation. As long as the SDDP is governed on the basis of “one cow equals one vote” it and its candidates will never be able to form a message that resonates with a majority of both urban and rural voters. Instead it will lie moribund on the table as it does now, only partially organized and available to any cohesive interest group to use as a platform for its agenda, no matter how popular or unpopular that interest groups ideas may be to the general public. It is a sad state of affairs because the Democratic Party affords ordinary people one of the few structures where they can regularly express their political preferences and attempt to influence the public discussion. Alternatively, people can either accept their powerlessness or choose to form and fund an independent organization of their own, an alternative, which for practical purposes, is available only to the wealthy, the well connected or those with a lot of extra time on their hands. Despite my skepticism, I wish the SDDP well for they are the only alternative in town to the Republican Party, the Party of Trump, an alternative totally unacceptable to me for many reasons but also because, unlike our Senators, I don’t feel like Kowtowing anytime soon. Direct Mail still works! Better than ever. Paula Hawks asserted that the party needs to give members something to believe in rather than just issues to fight against. She also said that party lacks a central message and has not done a good job of showing what it means to be a Democrat. I agree that the party needs a central message like farming, affordable healthcare and better wages but I also think each candidate needs to mold a special message for the district they are running in. I have felt that the SDDP has too often tried to create the message (simplify it) for each individual candidate. This is painting with too broad of a brush. I think the state party needs to concentrate on raising money for candidates and let the individual candidate create their own unique Democratic message in relation to their district, or even the office they are running for (legislator, city councilor, county commissioner, etc.). Finally, she claimed that the state party needs to do more with both social media and mainstream media to get the message out. She pointed out that many young voters have moved away from Facebook and rely on Snapchat or Instagram and asserted that the party needs to fashion a message to fit those platforms. This is where the party has been f’ing the chicken for several years. They keep thinking that the only way to bring in younger voters is by posting on Social Media. While it’s ok to campaign on social media (it’s mostly free) you have to tie it in with a strong direct mail strategy and campaign. In fact, several experts who study direct mail found that the younger generation 18-35ish love getting direct mail, in fact they read it more than voters 55 and older (which come in 2nd place) while middle age has continued to be flat. A variety of studies have concluded that millennials favor and even enjoy receiving direct mail. InfoTrendsconducted a survey finding that while only 26% of millennials prefer email marketing, 38% prefer direct mail pieces. In addition, millennials are more likely than any other generation to read their mail, in great part due to the fact that they actually enjoy receiving mail; in fact, this study found that 25% of millennials consider reading direct mail a leisure activity. The USPS found that 47% of millennials look forward to checking their mailbox each day, which Harris Diamond, CEO of the global advertising network McCann, affectionately refers to as “The Mail Moment.” It’s important that companies attempting to target millennials effectively tap into this moment. So why is that? Because the younger generation has NOT grown up with mail, they have grown up with social media and phones, they are bored with it. A good, old fashioned direct mail campaign towards younger voters tied into social media and good old door knocking is incredibly effective. It also helps to have definitive voting lists of who actually votes. As Cameraman Bruce would say, “Enough of the Facebook games.” Direct mail works if you work it. Every successful campaign I have worked on used direct mail as it’s central messenger. 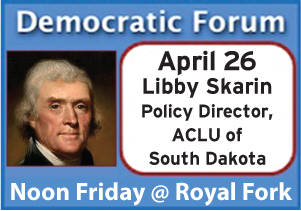 The Brookings County Democrats will be hosting a forum for all of the candidates for State Democratic Chair this Saturday, at 1pm, at the Brookings city library. The Six Candidates are: John Claussen (my choice), John Cunningham (my 2nd choice), Paula Hawks, Tom Cool, Allison Renville & Ann Tornberg. UPDATE: Last night before I posted this I was told by some upstanding members of the SD Democratic Party that the vote for chair would be decided by a simple plurality. Basically ONE vote, ONE election. Well since than, a new ruling has come down. Now they are claiming there are no specific rules in the Constitution saying it is a simple majority or 50% of the vote. The Constitution does say, however, anything that is not specifically written in the SDDP Constitution will defer to parliamentary procedure and that the Executive Board will be reviewing the rules during their next monthly meeting. So what does that mean? If they defer to Robert’s Rules, then we keep having balloting until a candidate gets 50%. It could go all night. All this rule changing and indecision is the EXACT reason why the party needs new leadership. 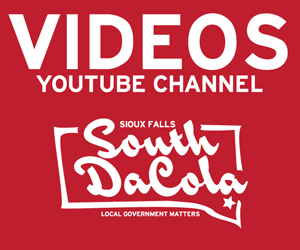 I am Paula Hawks, former state legislator from District 9 (Hartford) and 2016 Congressional candidate for the South Dakota Democratic Party. I am announcing my candidacy for the State Chair of the Democratic Party, along with Jack Mortenson for Vice Chair, and Caroline Hansen for Secretary. Bringing a united, strong leadership team is important to the success of the Party at a time when we need to be developing a strategy for success in 2020. From the top of the Congressional ticket to local elections all over the state, we must focus our attention on building the Democratic Party’s ability to identify strong candidates and support them in their endeavors. This adds to the current list of John Cunningham (SF), Ann Tornberg (Beresford) and Tom Cool (SF). There is also another announcement of another Sioux Falls resident that will be running coming soon (who I support). Since the vote is based on plurality, it’s anyone’s game, but I think it will be a close matchup between Hawks and one of the three candidates from Sioux Falls. Nice knowing you Ann . . . I do know that Randolph Seiler did consider the volunteer position but decided not to run. Who is Ann Tornberg kidding? You have ‘CRITICS’ because your tenure has been a total failure! We have had enough of your ‘Experience’. It’s time to Elect a NEW chair that wants to move the party forward instead of incredibly backwards. Background: Ann is a retired high school English teacher, speech and debate coach, having spent 32 years at Beresford and Sioux Falls Lincoln HS. 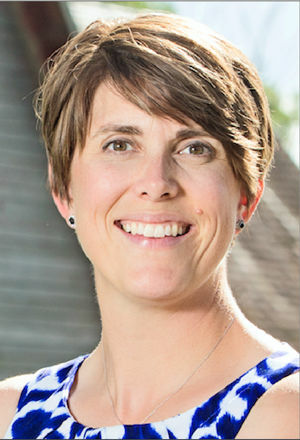 Prior to retiring in 2010, she was elected President of the Sioux Falls Education Association, the largest public union in the state of SD, at that time. She first ran for the State Legislature in 2010 and did so in three more cycles. While she lost these races in a highly GOP District (District 16 has 4,000 more Republicans than Democratic voters) she knew there were other ways to serve and became a volunteer legislative aide serving every day in Pierre at four Sessions (2013-2016). She was elected Chair of the South Dakota Democratic Party in Dec. of 2014, starting her four-year term in Jan. of 2015. Ann and her husband of 43 years, Mike, own and operate their four-generation family farm south of Beresford. Their two daughters (one a family physician, the other a teacher) are both married to farmers. Their six grandkids are just as smart and talented as your own (if you are lucky enough to have them). As with all other Democratic state and county officers, Ann is entirely a volunteer. “I have learned, adjusted, and grown through this position. We expanded with a Rapid City office, have five full-time year-round employees, and just approved the 2019 budget to add a full time Tribal Organizer. We’ve grown Founder’s Club from 160 to 430 members in four year. I believe I am best equipped to continue to expand relationships with county leaders, legislators, potential candidates, other progressive groups, and Democratic leaders from other states. I have regular personal communications with DNC Chair Tom Perez. My experience authoring the Delegate Selection Plan for SD will be essential for the 2020 National Presidential Convention. There is only one direction to move…forward. I believe I am the person best equipped to keep moving in that direction. There is still much to do and no one understands that more than the person who has the experience, work ethic, and perseverance to take the job despite the challenge and the critics. The current Vice Chair, Joe Lowe has decided not to run. I want to thank him for his service. If I am re-elected as Chair on March 23, Larry Lucus will run as Vice Chair. 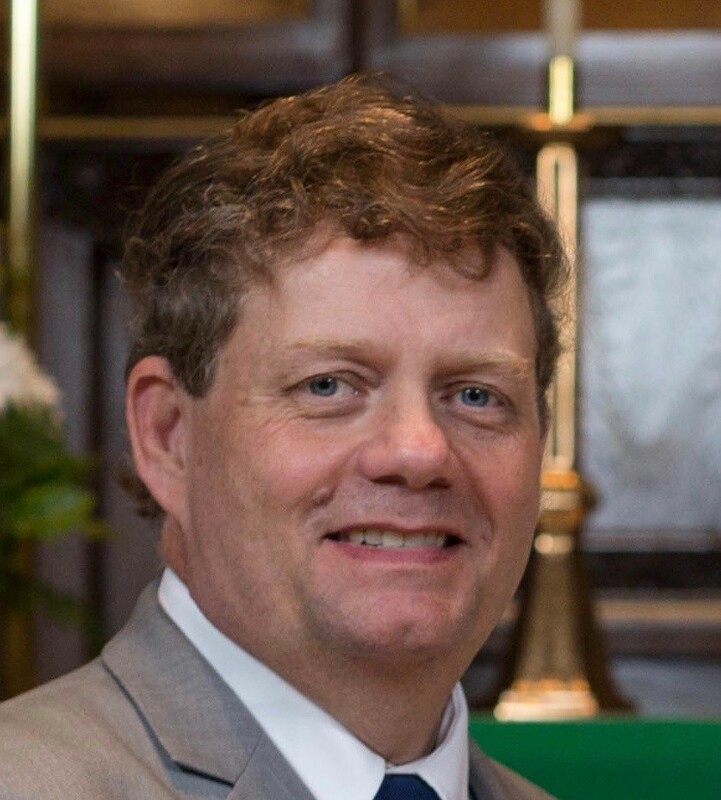 As a former educator, Vice Chair of the SD Education Association, and State Legislator, Larry brings a wealth of experience and connections to this team. Thank-you Larry for your willingness to serve.